A group of young walkers was rescued from England’s third-highest mountain after getting into difficulties in bad weather. The five inexperienced hillgoers from East Anglia called for help from the summit shelter of Helvellyn on Saturday when one of the party began suffering in the cold and wet conditions. 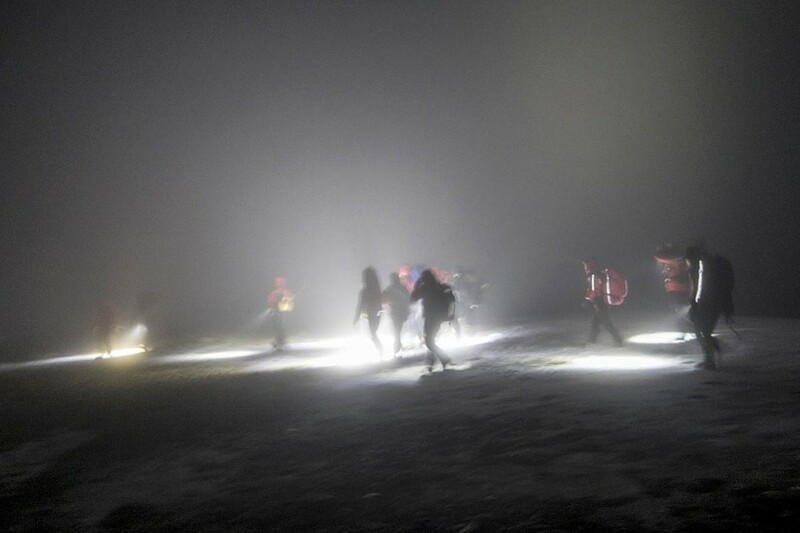 Keswick Mountain Rescue Team members were called out about 8.45pm. A team spokesperson said the walkers set off to ascend Helvellyn about noon, and arrived at the top of the mountain about 5pm. The weather and visibility on the summit was poor. The spokesperson said: “One of the party was suffering quite badly with the cold and wet, and they decided to put up a bivvy shelter, and try to get her warm. “However, as all of them were wet, they all began to suffer from the cold, and at 8.40pm they requested assistance, as they did not think they could get their casualty off the hill. “The team turned out promptly, taking all relevant equipment to cope with hypothermic casualties, and the first team members were on scene at 10.50pm. With extra dry clothing and food, both casualty and group were able to move, and were then walked off through the snow down to Swirls car park. “By the time they were down, the casualty was feeling much better, and they were able to meet up with their transport – hopefully somewhat wiser for their experience. The 4¼-hour rescue involved 16 volunteers from Keswick MRT.